Home Gadgets Who Is The Nokia Asha 501 Geared Towards? Nokia is gaining momentum after the massive fall that it suffered with the introduction of iPhones and Android smartphones in the European and Asian markets. It seems like they are bent on providing to all kind of consumers and especially those who like to carry inexpensive and low to mid-range smartphones for ease of use. Nokia’s low to mid-range also attracts the kind of consumers who have less use of smartphones in their lives and those cannot afford high-end smartphones. Since high-end smartphones also come with a risk of getting damaged or stolen, these ordinary smartphones help in minimizing those risks and can survive many hardships. But I think besides all that, Nokia is using Nokia Asha 501 to target consumers who are tired of huge screens and the battle for getting the best. There are various kinds of consumers. There are those who may not be able to afford high-end smartphones, some are students who don’t want to risk buying smartphones that go obsolete in a few years, and those who really don’t want a high-end smartphone and are fine with one that works very well and lasts longer. 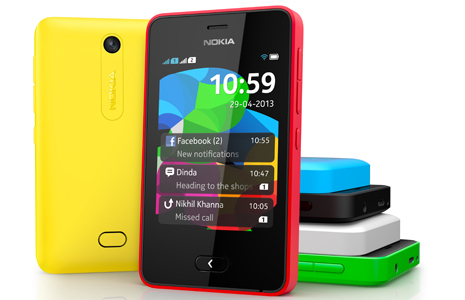 Nokia is aware that a good deal of the consumers will come from these categories and has targeted the Asha 501 for them. What does the Asha 501 offer consumers? Let us check the specifications of this smartphone that offers a smaller screen and high functionality on a budget, and see if it will boost Nokia’s sales further in the market. First of all, the colour options are amazing. Very few smartphones offer colour options initially and even then it’s limited to two or three options. Nokia’s love for colourful smartphone shows evidently in this series. This model comes with six bright colour options: white, black, red, green, yellow, and cyan. Asha 501’s design looks very petite, fresh and appealing after all those enormous smartphones. It comes with 3-inch LCD QVGA display screen of 320*240p resolution at 133 ppi. It also has internal storage of 128MB with 4GB external storage included that can be increased up to 32GB. The camera is at 3.2MP and has features like capture modes, colour tones, and zoom. You can connect via USB, Bluetooth, Wi-Fi and 2G. And yes, it is also a dual-SIM deal that makes life easier for many. The dual-SIM market has grown to a huge extent over the last few years, and Nokia is cashing in on that by launching models that have this feature. So, what makes this neat smartphone an amazing deal? For starters, the Asha platform has been improvised to look similar to Windows 8 UI and it works wonders since we get the Windows feel on a small smartphone at a budget price. The design in itself is quaint and fresh with colour options. The user experience is enhanced and now includes Fastlane (inspired from motion gestures of N9) that works like a record guardian by checking the phone’s usage over time and lets you multitask and access important features faster. Next best thing is the Nokia Xpress Browser that makes browsing speedier and brings in content based on the location and preferences very much like Google’s own. This intention by Nokia to move away from the Series 40 environment that it has used in earlier models of the Asha series goes to show that it is heavily focused on making the Asha series a strong contender in the budget mobile market. 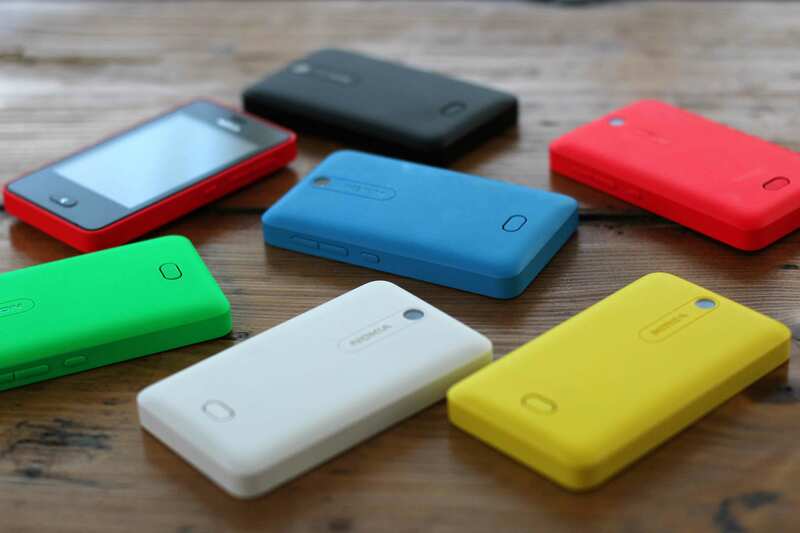 With earlier models like the Asha 311 enjoying a lot of success in the Indian market, Nokia seems to be betting on the new Asha 501 and its bundled ecosystem to launch the series into glory. Apparently, Airtel will offer free and unlimited data access to Facebook for Asha 501 for a limited time. We must not forget the games and EA tells us that it is giving a bundle of 43 games free for downloading. It comes preloaded with many utilities including your favorites, like Facebook, Twitter, and access to download many more. And the best of all is the price it comes for. Nokia announced that Nokia Asha 501 price in India will be Rs. 5,300. For this amount, we are sure it will be drawing a huge amount of interest from consumers, if earlier sales of the Asha series are any indication.